The Captain Nathaniel B. Palmer House, once home to the man who discovered Antarctica, now serves as the headquarters of the Stonington Historical Society and is preserved as a National Historic Landmark. Designed by Gamaliel King of New York in 1850, visitors are welcome to explore the Captains’ mansion and surrounding gardens where you'll view exhibits, model ships, dollhouses and period textiles. The museum is open seasonally, please call for hours of operation. Admission: $10 for adults; $8 for seniors, active military, and students; $6 for children 6-12; members and children under the age of 6 are free. Admission price includes a visit to the Old Lighthouse Museum. The James Merrill House is maintained by the Stonington Village Improvement Association. It's an important literary landmark and furthers the legacy of one of America's great poets, providing a place for visiting scholars to live and work. The late-Victorian, shingle-clad building was awarded a listing on the National Register of Historic Places as an individual location. Merrill Fellows present lectures and readings during their fellowships throughout the year. James Merrill's apartment is open to the general public four afternoons a year. At other times, visits may be arranged by appointment. 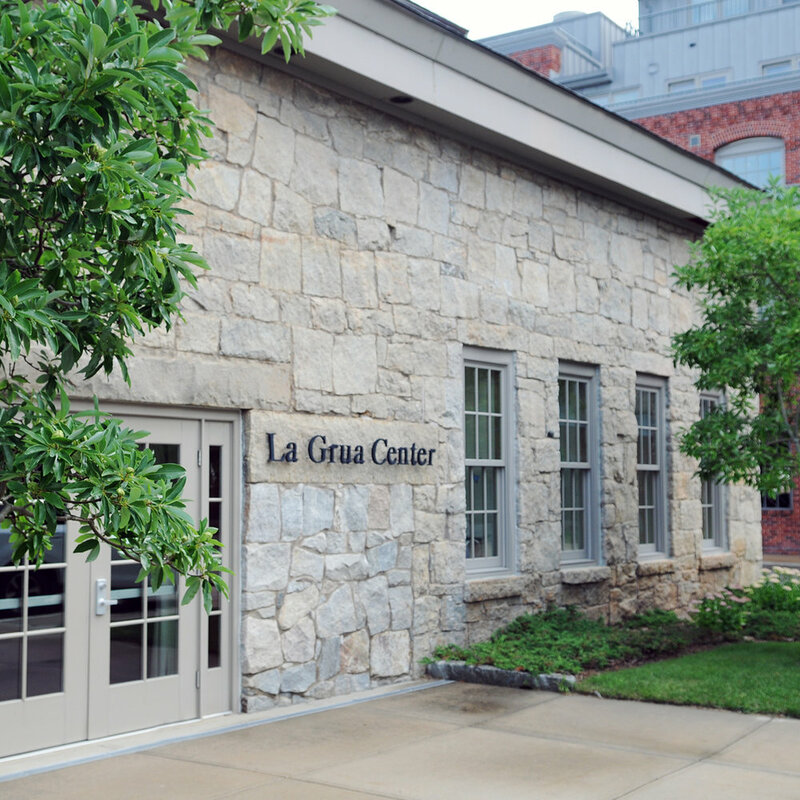 Founded in 2007, La Grua Center is a nonprofit cultural center offering a wide range of concerts, art exhibitions and lectures in an intimate, acoustically-distinctive space flooded with natural light and vaulted ceilings. The space is also a venue for classes, meetings, celebrations and other community activities. Built in 1840, Stonington’s Old Lighthouse Museum served as a beacon over Stonington Harbor for nearly 50 years. It is filled with fascinating exhibits and local artifacts that reflect the maritime heritage of Stonington ship captains as well as the Borough's long history of commerce and steamship transportation. Visitors can climb the tower for a stunning vista of three states that stretches to the Atlantic Ocean. The lawn of the Old Lighthouse Museum provides open space at the tip of Stonington Point, a venue for concerts and private events, a setting for reenactments of the Battle of Stonington, and a meeting place for the many walking tours conducted by the Stonington Historical Society. Admission: $10 for adults; $8 for seniors, active military, and students; $6 for children 6-12; members and children under the age of 6 are free. With over 600 linear feet of archival and genealogical material, as well as a remarkable collection of historic artifacts and objects from Stonington’s history. Please call for hours of operation. One hundred and thirty years after its founding, the mission of the Stonington Free Library remains the same — to enrich lives and build community by bringing information, ideas and people together. Today, 3,300 cardholders have access to 33,000 print and digital media items, online subscription services, and a range of programming for adults and youth alike. The Stonington Historical Society is dedicated to illuminating the more than 350 years of history of the Town of Stonington, offering records of the lives and fortunes of colonial settlers, blockade runners, ship captains, whale hunters, patriots, explorers, artists, and writers. The SHS manages and maintains three historic sites: The Old Lighthouse Museum where you can climb to the top of the light tower; The Nathaniel B. Palmer House, home of the Stonington seafarer credited with discovering Antarctica; and the Richard W. Woolworth Library, a growing archive of local records, manuscripts and photographs. Established in 1845, A. Wimpfheimer & Bro., Inc. imported velvets for resale. After the passage of the McKinley Act of 1891 made it possible to manufacture velvet in this country, the Wimpfheimers attempted to weave and dye fabrics in their mill in Astoria, Long Island. Due to a malaria epidemic, they relocated to Stonington, Connecticut in the building now known as the Velvet Mill, built in 1888. From an original mill organization operating 25 looms and employing 35 people in 1891, the company expanded with the growth of this country, operating approximately 300 broad looms with 450 employees by the middle of the 20th century. After the Wimpfheimers closed its Stonington facility, a small group of artists moved into the mill and began transforming the spaces into studios and gallery space. Today, the Velvet Mill is home to a thriving creative community of artists, entrepreneurs, and small businesses. Offering art and design, unique crafts, health and healing services, fitness classes and professional services, the Mill is also home to an artisanal bakery, an award winning nano brewery and a winters farmer’s market. Every studio is a unique working space and the Velvet Mill artists share a beautiful exhibition venue in a newly renovated gallery.